Here at Spitting Pig London we want to make it as easy as possible for you to contact us. This page allows you to get in touch with us regarding any queries you have or bookings you want to make. So if you are thinking of having a party on the bank of the Thames or a hog roast in Sunbury, organising a corporate hog roast in Stratford or looking into opening your own restaurant in the stylish streets and need a hog roast in Fulham then feel free to contact us. We are here to help. There are a variety of different ways that you can get in touch with us. If you are looking to make an enquiry about a private party that you are having then the best way to let us know about it is to fill in the form above. This form allows you to fill in all the necessary details we need to start planning your party. The forms will be submitted to one of sales team members who will get in touch with you as soon as possible. Filling out all the details on this form correctly is essential because it makes it simple for us to plan your party. Please make sure that your email address and contact numbers are correct otherwise we won’t be able to respond to your enquiry. The next forms of contact are via telephoning or emailing our sales team. The number and email address you need are located on the top of this page. If you ring us you will be connected to our sales team who will help you with enquires that you may have and emails will also be dealt with by the same people. Our sales team are experienced in the catering industry and will be able to deal with the questions that you have. Once we have responded to you enquiry our team of event planners will do the rest. The details that you have proved us with will help our event planners create the perfect day for you and your guests. We do all the hard work so you don’t have to. We want to make sure that you and Spitting Pig London are working from the same point of view. If we work together then we guarantee that your party will be perfect. We make sure that every last detail is planned to perfection whether it is the location of the party, the menu you have selected, the amount of guests at your event and the time of your party. We fine tune every aspect of your party. When the day of the party arrives our team of event planners, fully trained hog roast chefs and waiters, depending on choice of menu, will be there to assist you throughout the day. By providing you with experienced staff on the day we are giving you the reassurances that you need to relax and enjoy your day. 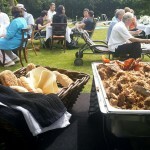 It isn’t just private parties that we cater for. 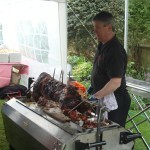 We offer a variety of services such as hog roast machines hire. Also if you are interested in setting up your business and want a hog roast machine for your restaurant then we can help you with that too. If you want your own machine the Spitting Pig Co sell them and can also provide you with business support for the start of your hog roast adventure. One of our biggest selling points is the fact they are no restrictions on the type of event that we cater for. So do not hesitate to contact us if you want to make an enquiry about anything. 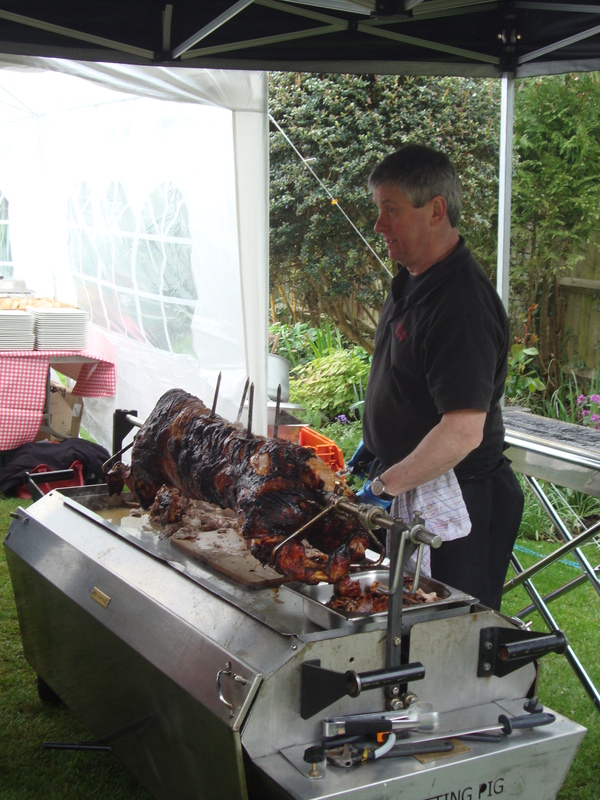 We are always here to help and will do our upmost to answer any of your questions and provide you with a hog roast for your event that you will never forget.